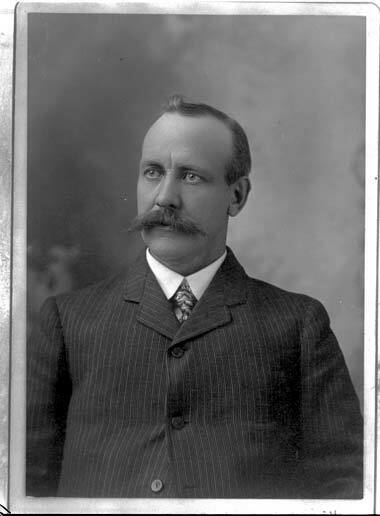 False "Friends of the Financially Downtrod"
Joseph Norman Dolley was both banker and politician, serving in both houses of the Kansas legislature and chairing the state Republican Party before becoming state Banking Commissioner in March 1909. He was a Progressive, committed to using government to fight both public and private corruption. Urban adherents of the movement, such as Louis Brandeis, hoped to protect investors by enforcing transparency in securities offerings; their Midwestern counterparts fought speculation in agricultural commodities to counter Eastern economic power. Introduced on February 6, 1911, the “Act to Provide for the Regulation and Supervision of Investment Companies” required filing with the state Banking Commissioner, who could reject applications he found suspect. The bill was not without some controversy. It was the first of its kind, and called for government intervention in a new field. Even the bill’s supporters worried about the power it vested in one man. One representative stated, “I chance the ills I know not of in this bill rather than to suffer others of which I am sure.” The governor signed the “Blue Sky Law” on March 10th. In the months afterward, Dolley scrutinized more than seven hundred applications and approved only forty-eight. Irritated investment bankers believed that Dolley was trying to direct money away from investments and into accounts to the benefit of Kansan banking interests. State banks often clashed with investment banks as they competed for scarce savings. While claiming no sympathy for “the oily promoter,” the investment bankers argued that those seeking “more than a fair return for their money” should share the blame for their losses, and that people should realize that deals that seemed too good to be true probably were. They also feared regulatory overreach. The Burr brothers scandal led directly to the Kansas Blue Sky Law, but the Burrs and Dolley embodied the larger clash between unethical operators and principled Progressives. The ease with which the bill was passed and the readiness with which it was imitated demonstrated that it was a law whose time had come. An unregulated and speculative market now had a legal counterweight. The Kansas Blue Sky Law indicated that sometimes, when a scandal collides with a countervailing political movement, a direct response could be forthcoming despite the normally complex legislative process. (7) Munsey’s Magazine, “Barring Out the Stock Thieves,” Vol. XLVI No. 5, February 1912. Current Literature, “Chasing the Wild Cats of Finance,” Vol. LII No. 2, February 1912. (8) The Ticker, “Saving the People’s Money,” August 1910. J.N. Dolley, Tenth Biennial Report of the Bank Commissioner of the State of Kansas (Topeka: State Printing Office, 1910), xiii-xiv. (9) Technical World, “The Blue Sky Law,” March 1912, 41. The Bankers’ Magazine, “The ‘Blue Sky Laws,’” May 12, 1912 (Vol. LXXXIV No. 5). J.N. Dolley Moody’s Magazine, “Blue Sky Law,” Vol. XV, p. 45. (10) Cowing, Populists, Plungers, and Progressives, 68, 72-73. Letter to Governor Walter R. Stubbs from John Wight, Rapid City, South Dakota, requesting copy of "Blue Sky Law"